If you’re not going on safari, don’t worry – Cape Town is full of wildlife! Here are some of the animals you can spot in and around the city. A Cape fur seal colony. 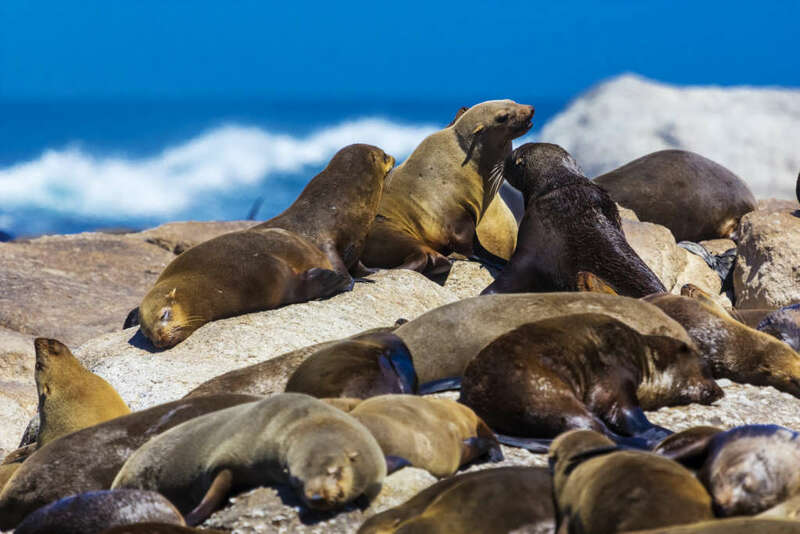 You’ll often spot these friendly mammals sunbathing around the V&A Waterfront, but the best way to see them in their natural environment, when they’re at their most playful, is on a seal snorkelling tour from Hout Bay. 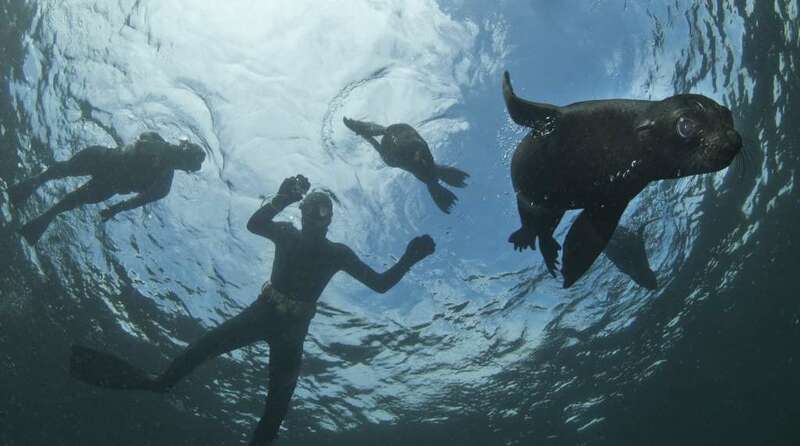 On a seal snorkelling tour in Cape Town. Otherwise known as jackass penguins for their braying sound, these little penguins are most famously found on Boulders Beach. There’s a special walkway so visitors can see the penguins without disturbing them and you can even swim with them in the lagoon – just don’t touch! 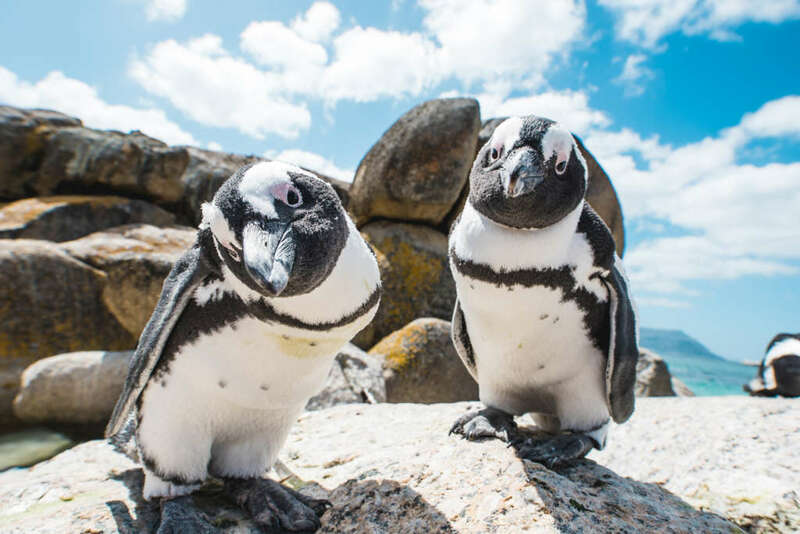 Alternatively, you can visit the much quieter penguin colony at Betty’s Bay, just outside Cape Town towards Hermanus. Baboons are found all over the suburbs of Cape Town – and they can be quite troublesome! Don’t walk with food, especially around the Cape Peninsula, as the baboons won’t have any issues with snatching it out of your hands. From a distance, they are a lot of fun to watch and always tend to be doing something interesting. Around Cape Point Nature Reserve, you might spot the baboons foraging along the shore; this is the only place in the world they’ve been known to do this. 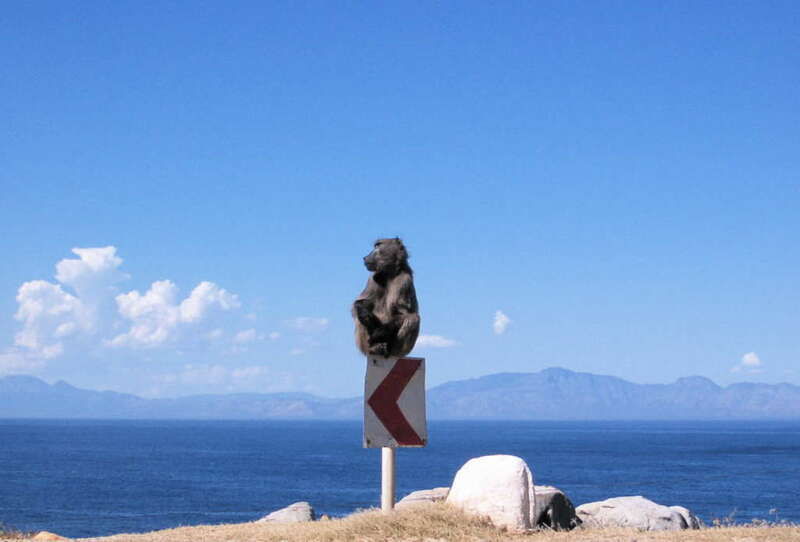 A Cape Point baboon. Credit: Francois de Halleux, Flickr. 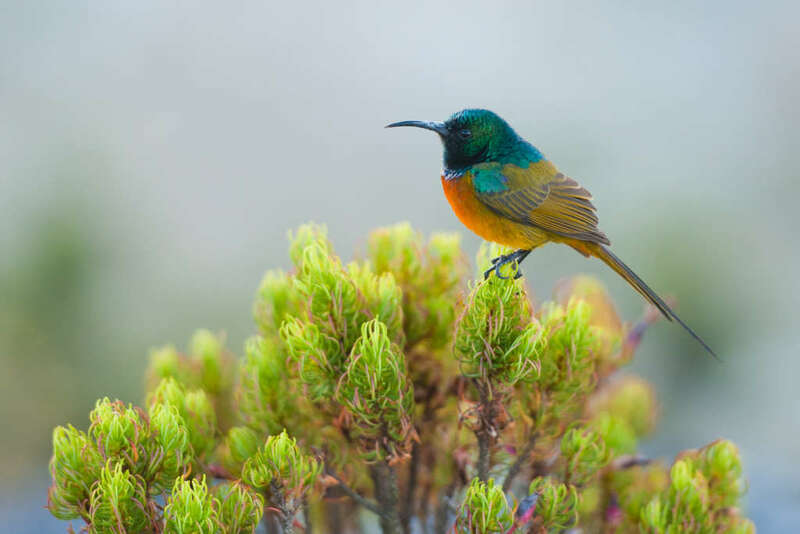 These pretty, colourful little birds are only found in fynbos areas. You can spot them on Table Mountain or in Kirstenbosch Botanical Gardens’ erica section. They feed on the nectar of many fynbos plants, but particularly erica (common name: heather) and proteas. 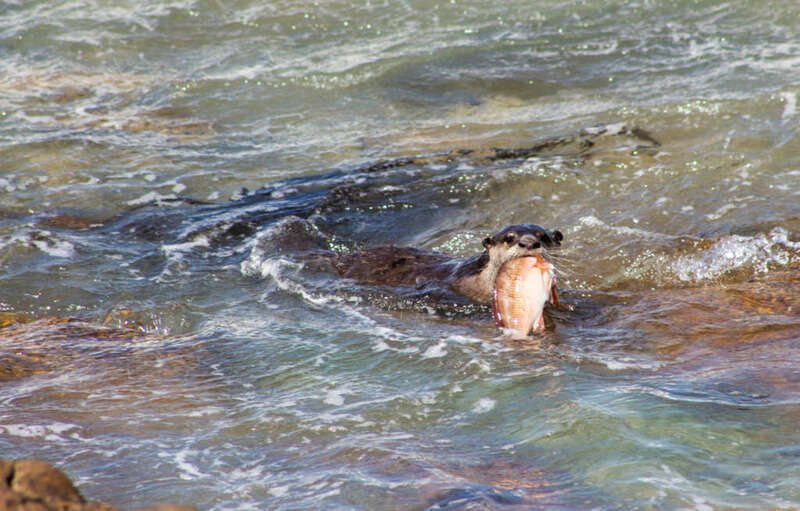 These otters are much rarer to spot than other animals on this list, but you’ll stand the best chance of seeing them between the V&A Waterfront and Mouille Point lighthouse (a kayak tour can take you out there) or Scarborough Beach. Early morning or evening are the ideal times to see them, though it’s all down to luck. A Cape clawless otter. Credit: Flickr user 6000.co.za. These grumpy-looking little animals are found all over Table Mountain, especially around the cable car station at the top. Dassie is the local name for rock hyraxes and they are – surprisingly – most closely related to the elephant! You can also spot them around Cape Point. 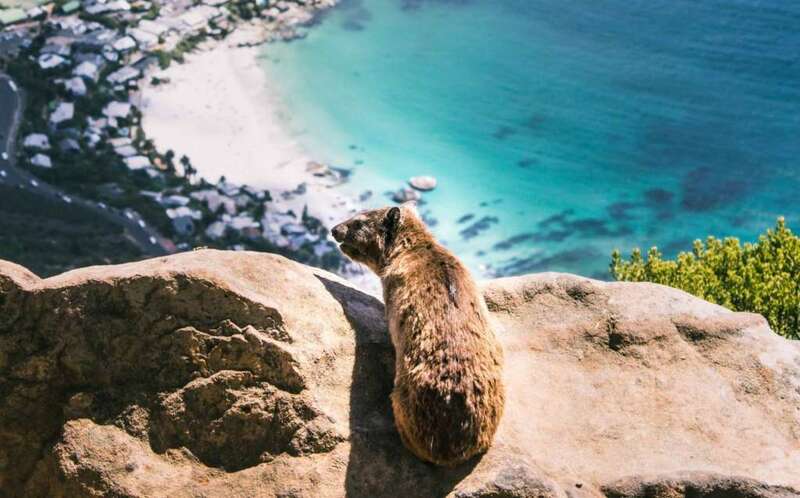 A dassie taking in the view from Lion’s Head. Credit: Crystal Mah, Unsplash. From June to November, southern right whales migrate from the Southern Ocean to the Western Cape’s warmer coastline. Though it’s easiest to see them further along the coast in places such as Hermanus, you can see whales around Cape Town, too. Humpback and Bryde’s whales frequent these shores as well, and it is also possible to spot whales out of season. 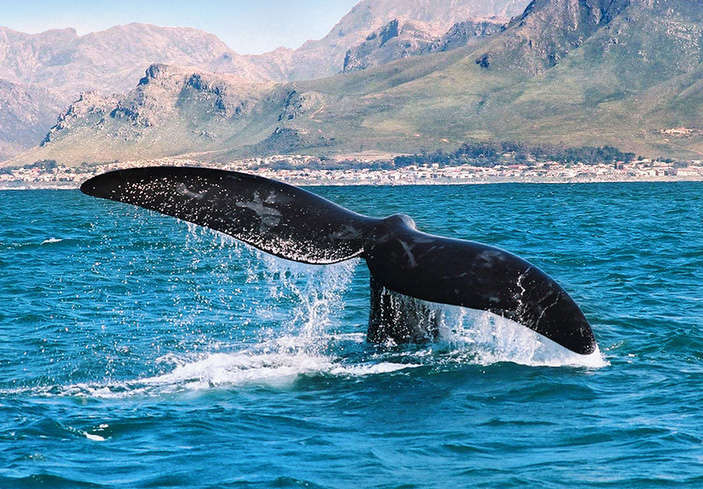 Whales can be spotted along the Western Cape shore. There are several types of dolphins around Cape Town, but Heaviside’s dolphins are the ones you’ll likely see on a kayaking tour from the V&A to Sea Point. Often hanging out just off shore, you won’t need to go far to find these pods of curious dolphins.